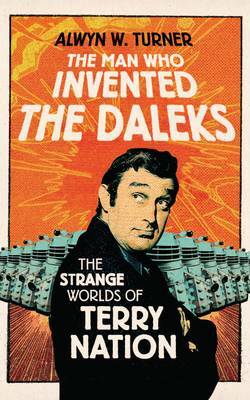 I’ve posted a review of Alwyn W Turner’s The Man Who Invented the Daleks: The Strange Worlds of Terry Nation (London: Aurum Press, 2011) on the Survivors: A World Away web site. Terry Nation created the original Survivors (1975-77), and the BBC’s revival of Survivors (2008-10) was based on Nation’s 1976 Survivors novel. New US post-apocalyptic drama Falling Skies has been renewed for a second ten-episode season less than half-way through its first season run. Brought to the screen by executive producer Steven Spielberg and Robert Rodat (scriptwriter for Saving Private Ryan), Falling Skies is set six-months after the planet has been devastated by an alien invasion. Human civilisation has been destroyed and, in the ruins of their old world, the remaining survivors are locked in a desperate guerilla war against the invader; detemined to secure the survival of the human race and to repel the aggressors from Earth. Starring Noah Wyle, Moon Bloodgood and Drew Roy, Falling Skies is produced for the TNT cable network. The pilot episode was shot in 2009, and after the series was commissioned the remaining episodes of the first season were shot in 2010. Falling Skies premiered on the TNT network in the US on June 19 2011, where the opening episode secured some 8m viewers. In the UK, Falling Skies is being shown on the FX channel, with the opening episodes shown on 5 July. More details, behind-the-scenes information and clips can be found on the show’s official web site; and on the UK FX Falling Skies site.